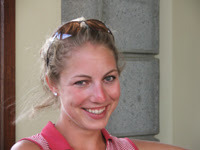 More Anna Rawsons pics on Golf Babes ... or visit Anna's Web site. If you know Nikki DiSanto, it's almost certainly from her two seasons on "The Big Break" ("Big Break V: Hawaii" and "Big Break VII: Reunion"). Some of you may have spotted her in a USGA commercial (lumber yard!). I've learned quite a bit more about Nikki over the past day or so, and she's got quite an interesting and diverse resume. There's much more to Nikki than The Golf Channel ever allowed us to see (the bikini pic notwithstanding). She competes in professional long-drive competitions and works as a model, that much you probably know. She's also a TV host (travel shows, interviewing celebs on the red carpet) and actress. She spent time with The Groundlings, the storied improvisational troup that produced many of the top comedic actors of the past 30 years. She's worked in theater, appearing in a production of "Cat on a Hot Tin Roof," among other plays. She has a degree in broadcast journalism. Nikki speaks Spanish and Russian. She plays guitar, classical guitar and bass. She can ride a unicycle, walk a tightrope and perform ventriloquism. She's also a whiz with a yo-yo and can hula-hoop circles around the rest of us. And she's played nearly every sport and worked in just about every martial art discipline you can name. But you probably knew she's a Golf Babe. Lots of new Web sites being launched lately. The newest is Jenna Daniels'. Check it out at JennaDanielsGolf.com. Kirsty Gallacher was an amateur golfer before she became a television personality in the U.K. She's also the daughter of Bernard Gallacher, a many-times Ryder Cup player for the Great Britain & Ireland teams of the 1970s and 80s, and then several times a captain for Team Europe. The statuesque (she's 6-foot-2) May Wood played collegiately at Vanderbilt and turned pro in 2004. 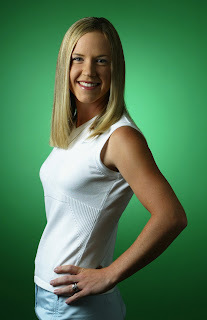 She was a rookie on the LPGA Tour in 2006, with non-exempt status. Not sure where she's playing this year - she's not listed on the player roster for the LPGA or the Futures Tour. Her favorite number is 3. Wonder if that has anything to do with birdies on par-4s? Hello to all. I am writing to send you an update on my status for this year and to say thank you for all of your concerns and inquisitions into my career. I regret to say that I will be on the "Disabled List" for the majority of the season due to a much needed wrist surgery in January. The doctor told me the recovery time will be 4-6 months, and I am doing everything I can to be back in the fairway as soon as possible. I will be playing as many Futures events as recovery permits. Thanks again for all of your concerns! Yeah, I know, there was a photo of Erica Blasberg just two posts ago. But you can never have too much Erica! And hey, look down below: there's Irene Cho and Kim Hall, too. Now that's what I call a bonus. These photos are from the Erica Blasberg Corporate Challenge, which just had its second annual playing in Corona, Calif., Erica's hometown. The event raises money for her charity, The Foundation for Community and Family Health. The foundation is a private, nonprofit organization that serves children, youth, seniors and families in the Corona and Norco areas of Southern California. In 2006 alone, the foundation was able to provide health-related services to more than 3,000 low-income children. Above is Irene Cho with Erica at an LPGA clinic for golfers playing the tournament. 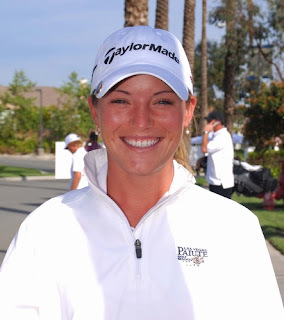 Irene is in her rookie season on the LPGA Tour, having earned her card by finishing 10th at Q-School. Before turning pro, Irene won five tournaments in college at Southern Cal and was a 3-time All-America selection. And here is Kim Hall, whom some of you may remember as Kim Rowton or Kim Rowton-Hall. Kim is a Stanford grad who had non-exempt status on the LPGA in 2006, and this year is in her first season as a fully exempt Tour member. Erica has one Top 30 on the LPGA so far this year. Check out her Web site. I got a note from Tina Miller a few days ago letting us know that she has received a sponsor's exemption into the LPGA Corning Classic, May 24-27 in Corning, N.Y. Hey, a great excuse to run another photo of Tina! Not that we need an excuse to feature the gorgeous Ms. Miller, but when you have one, might as well use it. Another note about Tina: Earlier this year she was in Hawaii doing a photo shoot for the 2008 Golf Digest World Ladies Golf Calendar. That's the calendar published by Golf Digest Japan, and yes, we'll be looking for it here on Golf Babes late this year. And don't forget: If you're heading to Las Vegas, you might be able to play golf with Tina. 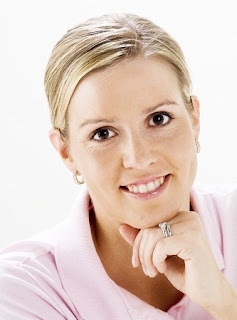 She is one of the golfers who works with our friend Nisha Sadekar's Play Golf Designs company. Play Golf Designs manages corporate outings and clinics, charity events and such, and works with many touring professionals to arrange their participation in those events. You can even set up a round of golf for yourself and a tour pro. Check it out.